As a local resident for 20 years, I know the area and its natural beauty. I have been involved in the industry for the past 8 years and look forward to helping you with all your real estate desires in a caring, honest & relaxed manner. 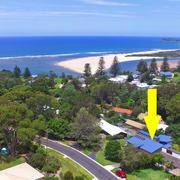 Talk to me about what Bermagui Real Estate & Clearwater Real Estate can offer you. 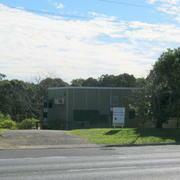 Along with the other Team members at Clearwater Real Estate in Narooma & Moruya, we are here to help you. If you are thinking of selling, buying, renting or want some advice on real estate matters, give me a call to set up a time so we can sit and chat. Must Be Sold - Submit all Genuine Offers. 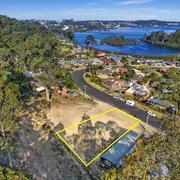 Situated north side of the bridge and in the original "Bermagui" shopping/services area is this rare Development site of 2226 square metres and within a short walking distance to the Bermagui River & Moreheads beach. The zoning would suit the construction of: shopping centre, motel style accommodation, place of worship, service station, or many other customer service options (subject to Council Approval). 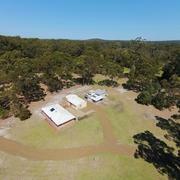 Rare opportunity for a complete lifestyle change – home with shop in the heart of a charming National Trust tourist precinct, set in a landscape of outstanding natural beauty. Immerse yourself in village life of a diverse and welcoming community just a few minutes from pristine beaches, waterways and National Parks. Live, work, let, invest, weekender, Air BnB The work/life possibilities are many & varied. 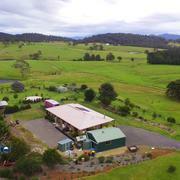 "Tilba Bakery" - an icon in Central Tilba is now on the market for sale, Walk In Walk Out. 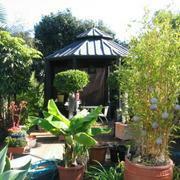 Specialising in fresh bread, cakes, coffee and sandwiches with plenty of alfresco seating. 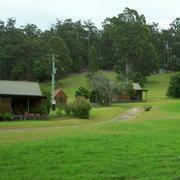 Enjoy the view over Central Tilba while you have a fresh pie, coffee or tasty cake. Features: High profile location. Extensive Inventory. Walk in Walk Out (excluding personal items). Leased items to be negotiated. Large outdoor seating area. Some training would be available if required. 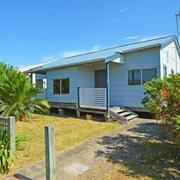 Situated within an easy walk to the beach, park, foot/cycle path and cafe. 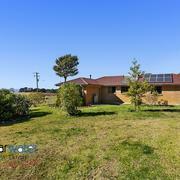 The home is set well back on the block which would be ideal if you wanted to build your dream home (STCA) in front and use the existing house as a studio for extra accommodation for guests. 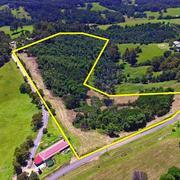 Land size is 620m2. Overall, the home appears to be in good condition and would suit someone who wants to downsize and be close to all amenities. 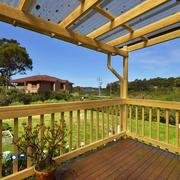 A short drive to Dalmeny Shops, Narooma Shopping area and Wagonga Inlet. 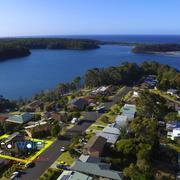 "Emerald Waters - Unit 2" - Located within an easy walk to the main street of Narooma, Golf Club, restaurants, cafes, banks and other quality shops. You could leave your car parked in garage and enjoy the walk to most amenities. 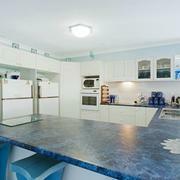 Features: This unit is light and bright with open plan lounge, dining & kitchen, two good sized bedrooms, central bathroom, easy access to the balcony, ocean and coast line views. There is a lock up garage on the lower level. Currently tenanted. 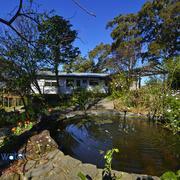 "Leanne"- Perfectly positioned close to Corunna Lake and Mystery Bay beaches to take advantage of the relaxed lifestyle that coastal living is all about. Shedding: A huge farm shed (approx 60 x 40 foot) with power, water and amazing views over the neighbouring farmland to Montague Island. There is also a double garage with a concrete slab and power. Greetings from Melbourne. A quick note to say thank you for all the follow-up work you have been doing for us; it has been valuable as we have been exploring options. 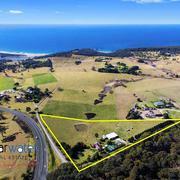 And we now have a decision: Ella and I have just exchanged contracts on a piece of land south of Bermagui and north of Tathra. If all goes well with the settlement, then we will be all sorted. Will let you know if there is a change to that and we end up still being in the market, but the likelihood is things will fall into place. On that assumption, let us take this opportunity to thank you for such good quality and untiring service. We have not encountered another estate agent who has impressed us as much as you have. Dealing with Greer was a pleasure. She's always very friendly, professional and accommodating. I would recommend Greer as an agent. She is polite, keeps you informed, and we had lots of laughs. Thanks Greer. Greer always kept us up to date with inspections and kept us well informed and communication with emails and phone calls. 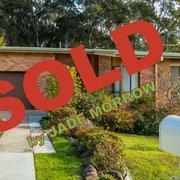 We were very happy with the way she handled the sale of our property and would highly recommend her as a great agent. I am writing this memo in reference to say it has been a pleasure to work with Greer and the staff from Clearwater Real Estate. Their follow up to detail and to keep you in the loop has been second to none when selling our property. Greer was genuinely interested in helping us secure the home and gave us very helpful local advice. Once we settled she organised the team at Clearwater to get right onto finding us a good tenant, who were very diligent and careful in this process. We had a tenant in and paid a month in advance before our first mortgage payment! Well done team. It was an absolute pleasure dealing with Greer throughout the process of buying my new property. She is knowledgeable about the area and the local market, and very personable. I would highly recommend Greer. Our experience with Clearwater Real Estate from beginning to end was nothing short brilliant. Greer kept us constantly updated & she negotiated well on our behalf. Greer was always approachable & very professional in eveything she did. We would highly recommend Greer & Clearwater Real Estate. 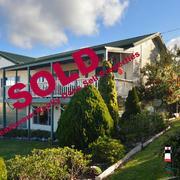 Our property sold within 2 months. Richard & Sandra. Both Greer and Gary did a great job selling our property. They know their market and they know their purchasers. Their style is relaxed but efficient and I would definitely recommend them. 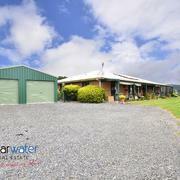 We found Greer and the team at Clearwater to be very responsive and effective in the sale of our property. We would recommend the Clearwater team to anyone wanting sincerity and professionalism in the management of the sale of their property. Buyer Review: Greer was outstanding in the whole process of purchasing our property. Right from the first phone call Greer was very responsive in all communication, and it never felt like we were left waiting at any time. Greer truly went above and beyond to ensure this sale was as smooth as possible, (given through no fault of Greer), there were some unusual difficulties in the sale. I would highly recommend Greer to any family and friends looking to buy or sell their property! Thank you again Greer for all your efforts, we are very happy in our new place! Greer was very approachable and helpful from the get-go! 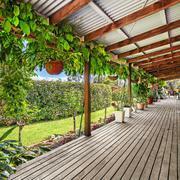 As first home buyers, she made this a very simple and pleasurable property buying experience!! Greer was an exceptionally good agent who offered an extremely professional yet personalised approach to selling my property - efficient, consistent and her communication was superb at all times. Many thanks and keep up the fabulous work! We hoped for a quick sale and got one because of the skills of this agent. She clearly knew the area like the back of her hand and obviously knew how to put it out to the market. All of the initial communications and the follow up have been seamless. I cant be happier. Very helpful and friendly with loads of knowledge. Thanks. We had a difficult site to sell and Greer never gave up and chased down every lead. We eventually sold thanks to Greer's hard work! Kept me posted on what was happening, highly recommend Greer as an agent. We realised our house would not be the easiest house in the area to sell, but in the first three weeks Greer arranged as many inspections as the previous agent had arranged in the twelve months it was listed with them. And on one day, Greer arranged three inspections, two of those made offers and one of them bought the house. 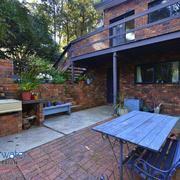 We got close to the asking price so we were very happy. The house was marketed well, with the description highlighting the positive features. 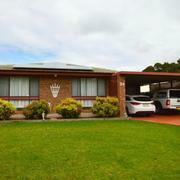 The photographs taken by a professional photographer made the house very appealing and inviting. The whole approach to marketing and selling our house was very professional. 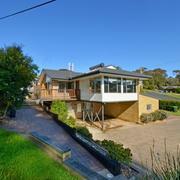 We sold our house through Clearwater Narooma and, our agent, Greer Allan was fantastic throughout the entire process. She explained everything, communicated with us where needed and came through with a buyer. The Clearwater team was helpful, courteous and professional. If it wasn't for Greer, I probably would have pulled out of this sale with the difficult vendors. She is kind and thoughtful and worked hard to achieve for her clients, even though they did not seem to appreciate this (some people!). Having just sold my home prior to moving here, I'm well aware of the role of real estate agents and able to identify good ones from the chaff. Thank you Greer. My unique and beautiful property at Congo was sold by Clearwater Real Estate. They worked long hours (not normal 9-5 office hours) were willing to travel on any day of the week to introduce a number of interested purchasers to the property. They provided great feedback. 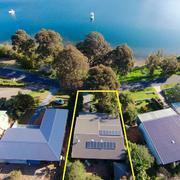 Took an avid interest in the property knowing it well for prospective purchasers' information. and It was sold in a timely manner. My satisfaction with this company is 100%. I would recommend them to anyone seeking real estate services. The whole team work together to bring out the best outcome whether you are buying, selling, wanting to rent or just want some practical advice about real estate in their beautiful region of NSW - contact Greer, Paul or Jade from Clearwater Real Estate. 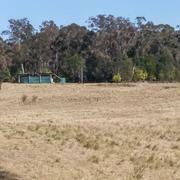 Greer was a breath of fresh air when it came to keeping us up to date on what was happening with the property, we were always fully informed. Greer always returned my calls. Her advise was invaluable , especially at the end of negotiations. Greer is always friendly, she is a great People Person. Greer was also flexible, especially when we were sorting a small structural problem, she was happy to reschedule inspections to suit our needs. 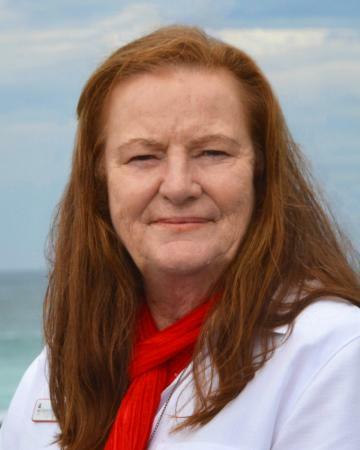 Greer was very encouraging when we were a bit downhearted and worked hard for us, her clients. I was welcome in the office at any time and met by co-workers who were friendly and able to assist me if needed. I will use Greer again, in fact another member of our family has approached Greer to act on their behalf in a potential purchase. I unreservedly recommend Greer as an agent. The team at Clearwater Real Estate were great to work with and always honest in the dealings. Greer even helped me cope with the emotional hardship as this was a hard place for me to let go, Thanks Greer for all your help!!! Great service, very professional, fast, no mucking around, could not fault at all. Would be happy to deal with again without a doubt. I would like to take the time thank Mrs Greer Allan for her excellent help in selling our first home in Lakeside Drive, Kianga. In just six weeks her thoughtfulness, recommendations and pricing advice as well as the personal touch is highly recommended and we not only gained an agent but a new friend. Her honesty and integrity is beyond approach and cannot say thank you enough. Clearwater are the way to go! 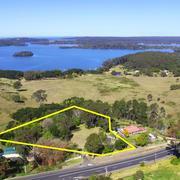 Greer was engaged to sell my rural property at Scenic Drive, Narooma. From the outset Greer was constantly keeping me informed of potential buyers and interested viewers. She provided regular weekly updates of the number of views of the property online, and the number of phone and email enquiries. As soon as Greer had arranged an inspection she would inform me immediately. 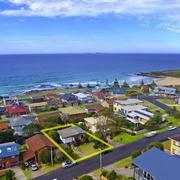 Greer was ultimately successful in negotiating the sale of the property with the purchaser. I have no hesitation recommending Greer to anyone wishing to sell or buy real estate. 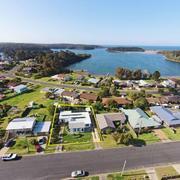 My husband and I first came across Greer in August of 2015 when we started looking in Narooma and its surrounding areas to purchase a home. We made a move from Sydney to Narooma and, honestly, Greer's friendliness and talk of the town and its surrounds is what sold us. Greer is very professional in her dealings and always goes over and above her required duties. First time we met Greer we felt very at ease and comfortable with her. Showing us through houses was never an issue at all. Somehow she managed to pull it off with 5 minutes notice at times. Even on her days off she is more than willing to answer her phone and help you with any question you may have. Compared to other agents I dealt with in the area, Greer's service and dedication stands out above the rest. 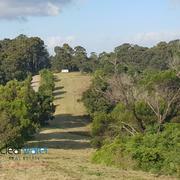 We are so happy to have been able to purchase through Clearwater Real Estate Narooma. We made it a must that when we moved down here we wanted to catch up with Greer on a social level. We can't thank her enough for all that she has done, we are ever so grateful to have come across such an amazing person. Oh and by the way we love Narooma. Everyone is so welcoming, a complete change from where we came from. You will love it too! We can not speak highly enough of Greer as a real estate agent. Greer listed our home and sold it for us for much more than we expected to get! Her knowledge of the local market is outstanding! We found her to be totally professional through the whole process. She is punctual and reliable. She kept us fully informed and up to date. We would highly recommend Greer and Clearwater Real Estate to anyone looking at buying or selling on the South Coast. Well done Greer, we are very happy!! Impressive is the word to describe the outcome delivered by the team at Clearwater Real Estate. We were delighted with the 5 1/2 week turnaround time it took from marketing to selling our home. Further, and most importantly, the price you achieved set a new benchmark in our immediate area.